I just started doing the low carb diet not sure if it’s actually KETO or just low carb and high protein. After doing all the Instant Pot Recipes I have to admit I put on some weight. My daughter is getting married this year and I need to get the extra weight off. I wanted to have some make-ahead Sous Vide chicken breast in the fridge to just pull out and put on salads or just eat for a snack that way I won’t get into something I will regret. 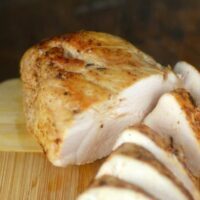 I finally was able to come up with how to make the best Sous Vide Chicken breast. I pulled out my Gourmia Sous Vide. I used the actual stick for this one to test out the difference between the all in one gadget I made the Sous Vide French Dip Sandwiches in. I have to say for a long cook I like using that better. For doing up chicken breast for the week I like the Gourmia GSV138 Sous Vide Pod Immersion Cooker. Sous Vide is the only way to make Chicken Breast. It’s perfect for any meal. Cut the chicken up in a salad or use it as the main dish. You can’t go wrong following these directions. The Sous Vide Stick seems to heat the water much faster for a shorter cook I think I liked using this one much better. I have tried chicken breast several times in the Sous Vide and every time it seems to come out either not the right consistency or rubbery. Finally, I found the perfect temp that makes the chicken juicy and full of flavor. I did cheat and ask a Sous Vide expert Rachel The Riveter what temp she does her chicken 🙂 If you want to find some amazing Sous Vide meals make sure you check out her site. I wanted enough to last the whole week. I bought a large pack of boneless skinless chicken breast and seasoned some with garlic and rosemary and some with spicy seasoning. Sealed the bags and put them in the Sous Vide. 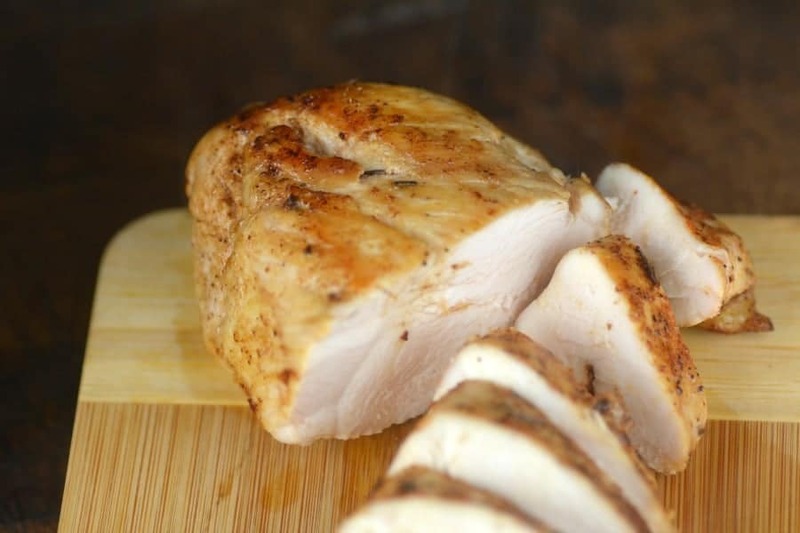 How to make the Perfect Chicken Breast in the Sous Vide. Directions: Place your sous vide on 151 F. Meanwhile Season your chicken and place in a sealed bag. Place in the sous vide for 1.5 hours. or 90 minutes. Remove from the water bath and pat dry. Get a cast iron skillet to about 500 degrees coat with olive oil. 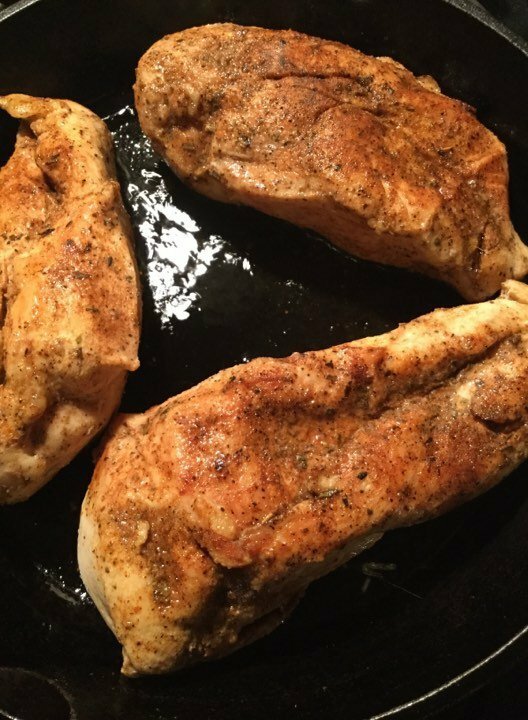 Place chicken breast in the skillet about 1-2 minutes per side to brown each side. I stored mine in serving sizes back in the fridge for the week but you can also freeze them and defrost when you are ready to eat. 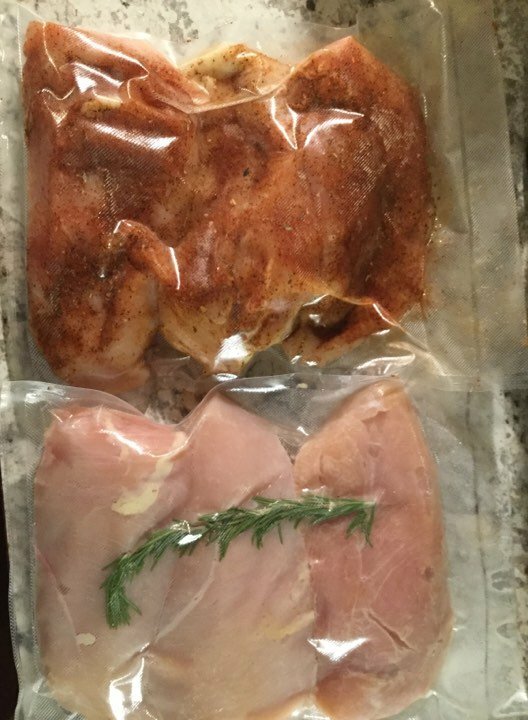 Place your sous vide on 151 F.
Meanwhile Season your chicken and place in a sealed bag. Place in the sous vide for 1.5 hours. or 90 minutes. Remove from the water bath and pat dry. Get a cast iron skillet to about 500 degrees coat with olive oil. Place chicken breast in the skillet about 1-2 minutes per side to brown each side. I’m so glad the temperature worked well for you! Sous vide chicken, in my opinion, is one of the great ways to eat a high protein, low carb diet and not gag as you choke down the food. 🙂 Lots of love to you! This has inspired me to buy a sous vide! Do you bring the water temperature up to 151 before placing the sealed chicken bag inside? Or do you place the sealed chicken in cold water and let the temperature rise to 151? Either is okay providing the temp can reach target quickly if placing the chicken in cold water. Best is to bring to target temp first. 151 is way too high. You’ll have a strange stringy texture. Cook your chicken between 140-145 and you’ll have a silky smooth, soft chicken. 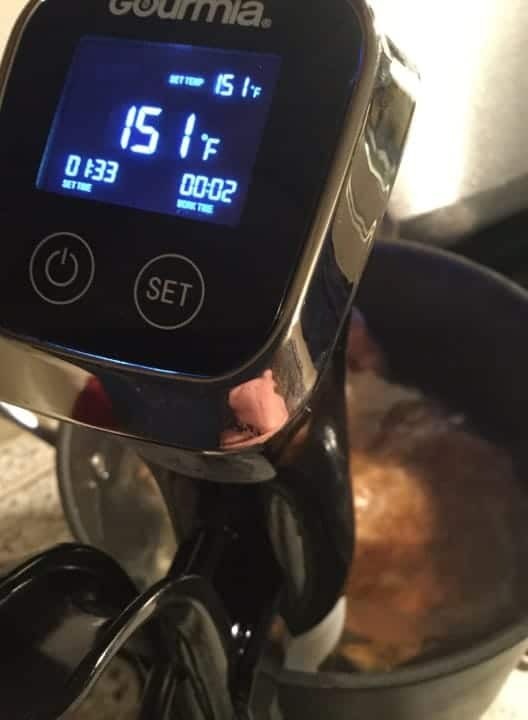 Hi, I am new to sous vide. Can you leave the chicken in the bag after cooking until ready to sear or is it best to sear & repackage after it cools? Thank you!